We bring to your notice two complicated endgames played by Karpov in his best years. Both endings became classical and are included in many books (in mine also). Both examples were reanalyzed recently, refining or even revising the previous assessments. psychological struggle is an integral part of a chess game. It's been a long since this statement goes without saying. Though I’m not sure that we realize clearly how a psychological factor peeps in chess and what is to be done to make progress in this field. I would point out three main trends here – in the decreasing order of importance. The 21st game of the match between Karpov and Korchnoi in Baguio was carefully analyzed quite a few times for the last quarter of the century. Mark Dvoretsky suggests examining the game from a position of the decision-making process. Mark DVORETSKY. EXCHANGE OF QUEENS. Part 3. Mark DVORETSKY. EXCHANGE OF QUEENS. Part 2. 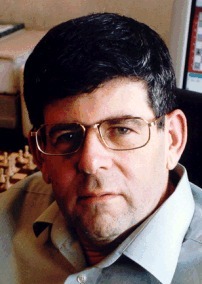 Mark DVORETSKY. EXCHANGE OF QUEENS. Part 1. The fifth and the last part of the large-scale work of M.Dvoretsky. We proceed with publishing of the large-scale work of M.Dvoretsky. Considering a sacrifice of the Queen "almost for nothing" (for one or two pawns or only one light piece) chess player either calculates variants till a checkmate or revenge of the material, or hesitates over a combination, because the risk is great. The work of art by Nezhmetdinov is a very rare exception as well as the next remarkable game. In all the before analyzed examples a sacrifice of Queen was undertaken during defense of a difficult position, its purpose was changing of the character of struggle, creation of counter-play. Certainly, other situations also occur, when Queen is sacrificed in order to attack the King. In the summer of 1991 I gave a few lessons to a group of American juniors, and then all of us joined a large traditional tournament "World open ". In the first round one of my students, 15-years old Bobby Seltzer played with a grand master.